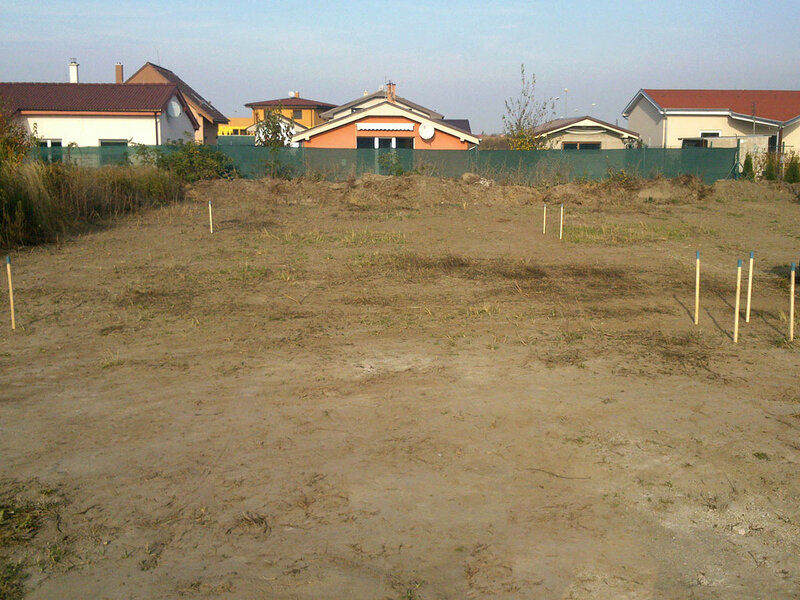 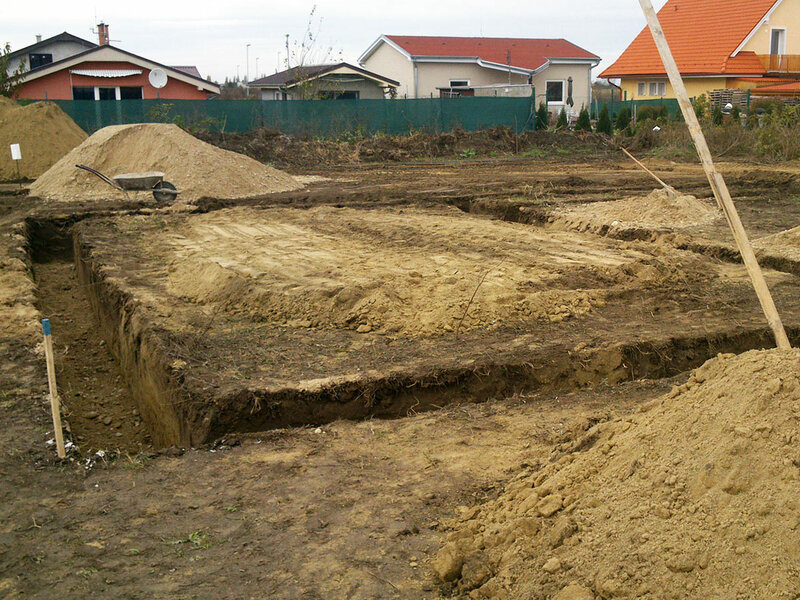 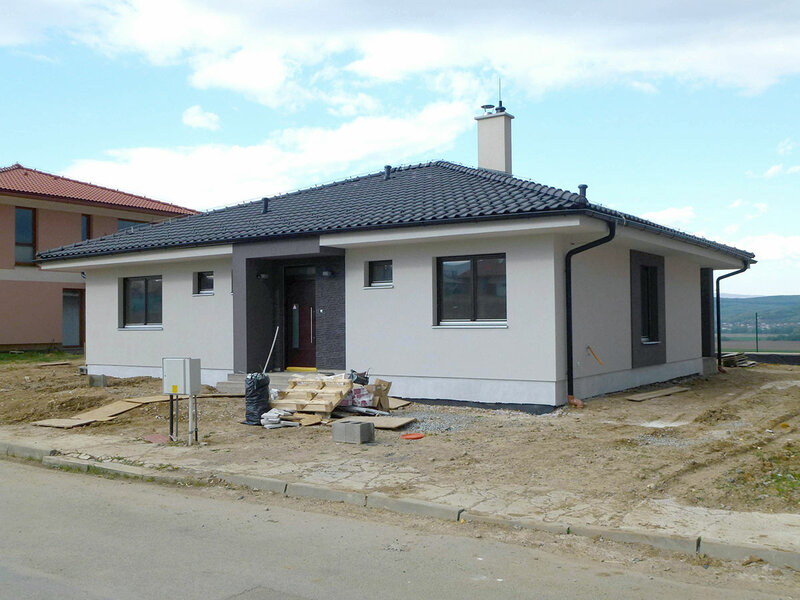 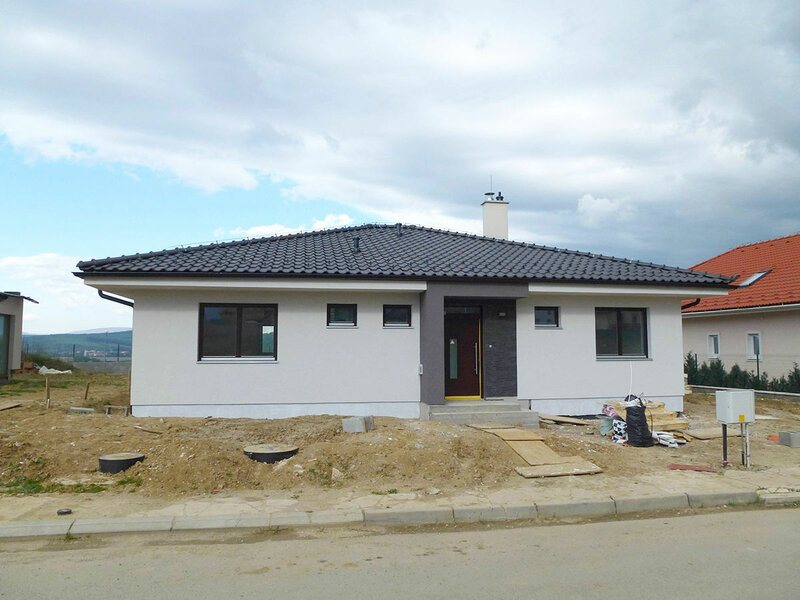 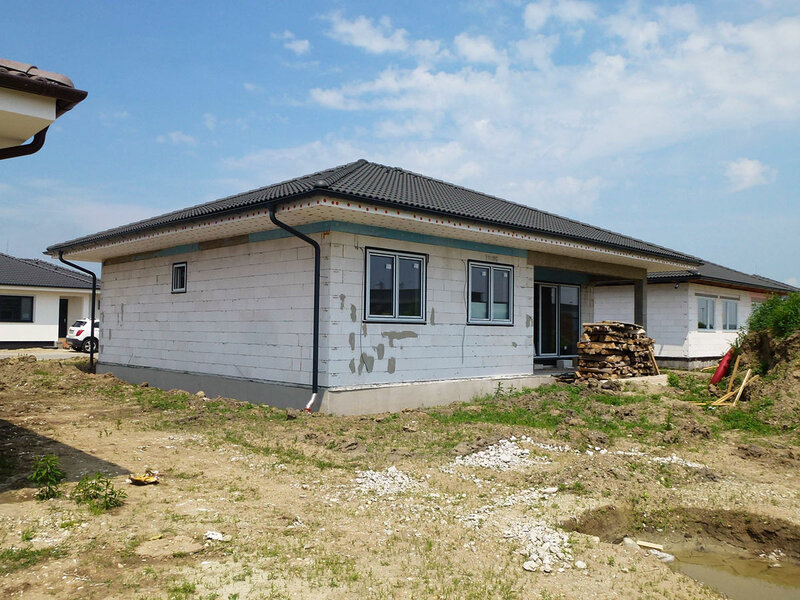 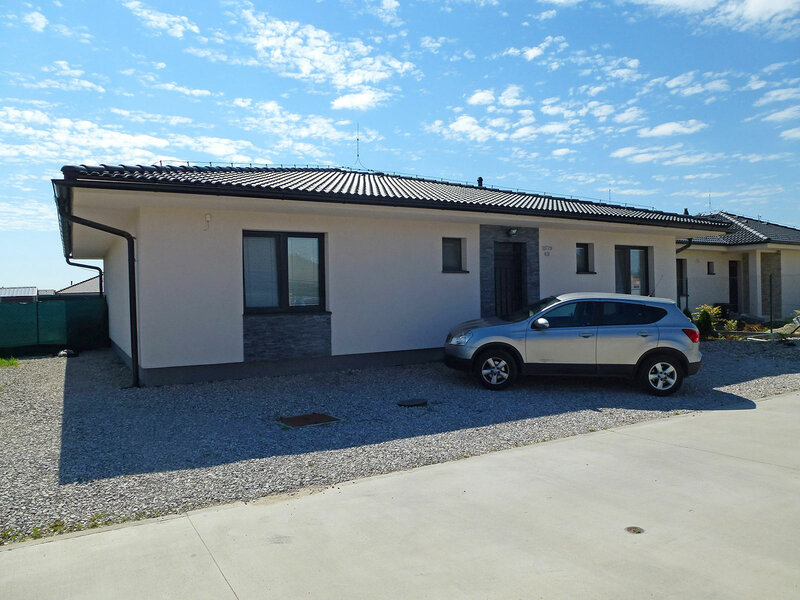 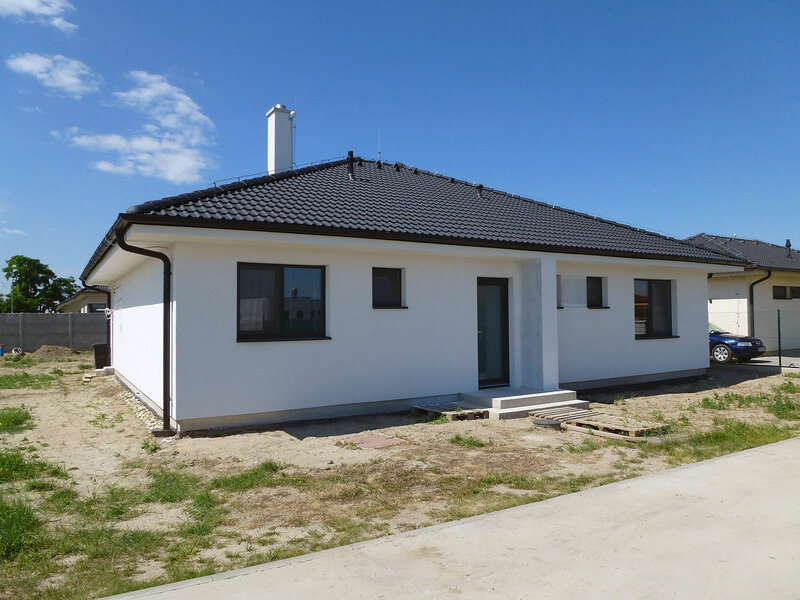 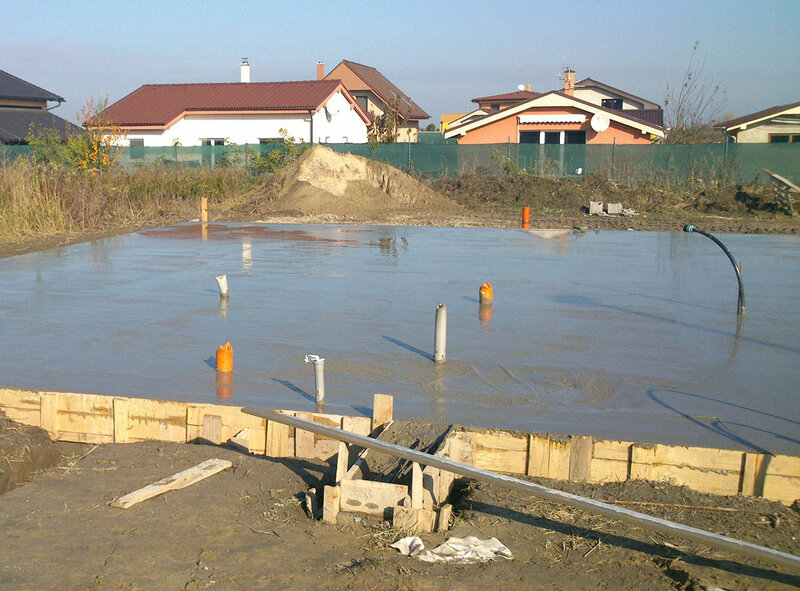 We will gradually publish photos of contruction of this popular bungalow O120 on this page. 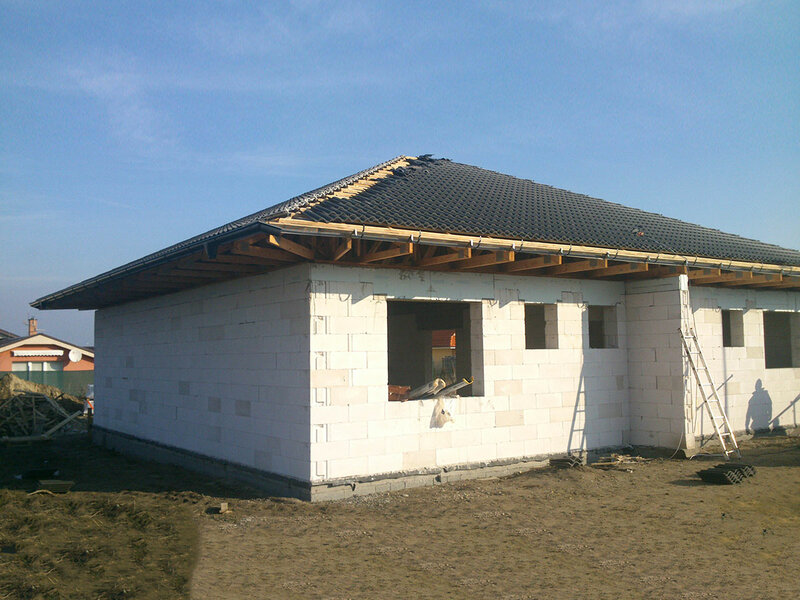 Its construction is relatively simple. 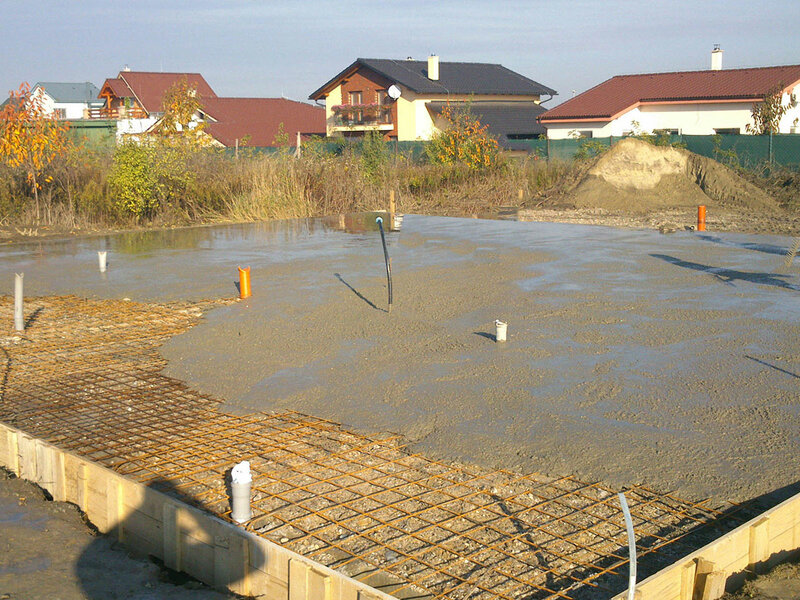 Foundations consist of foundation strips, load-bearing walls can be built of aerated concrete or brick with a thickness of 300 mm. 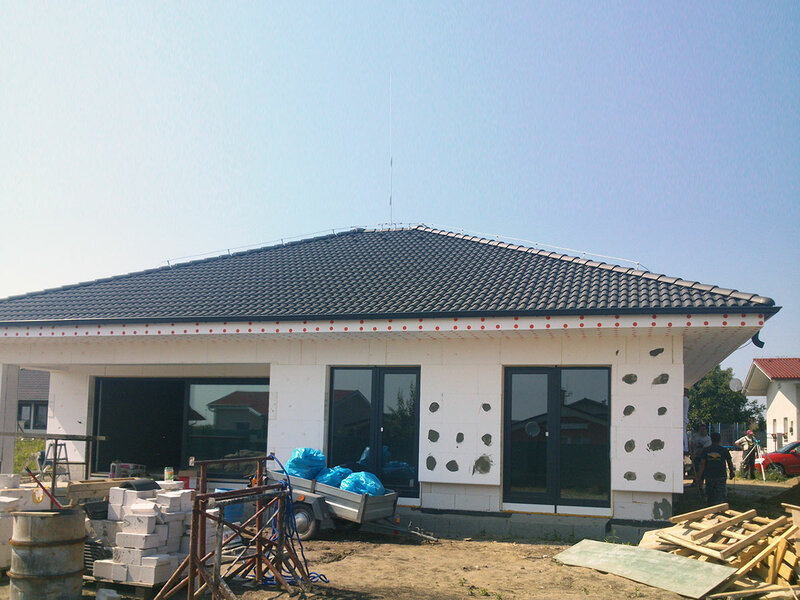 The house is insulated with 160 mm thick thermal insulation of mineral wool or polystyrene. 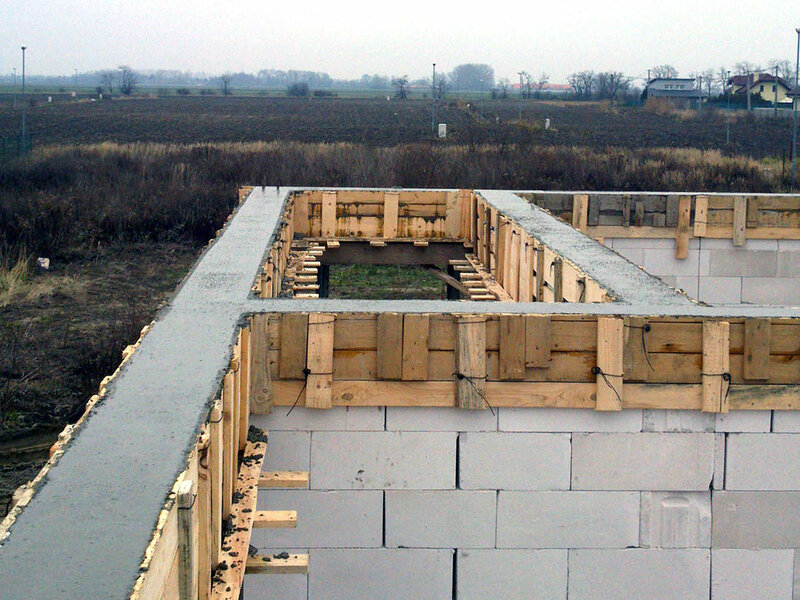 Such a solution achieves the parameters of low-energy house (A1). 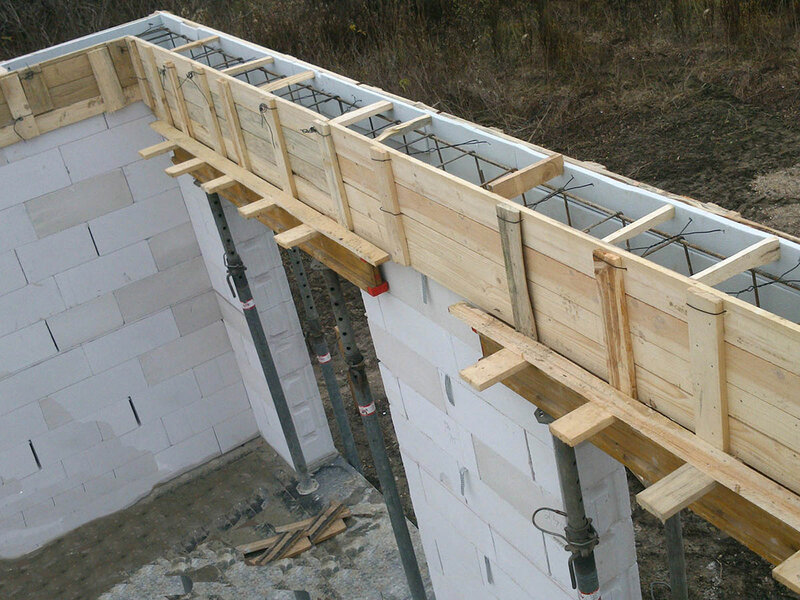 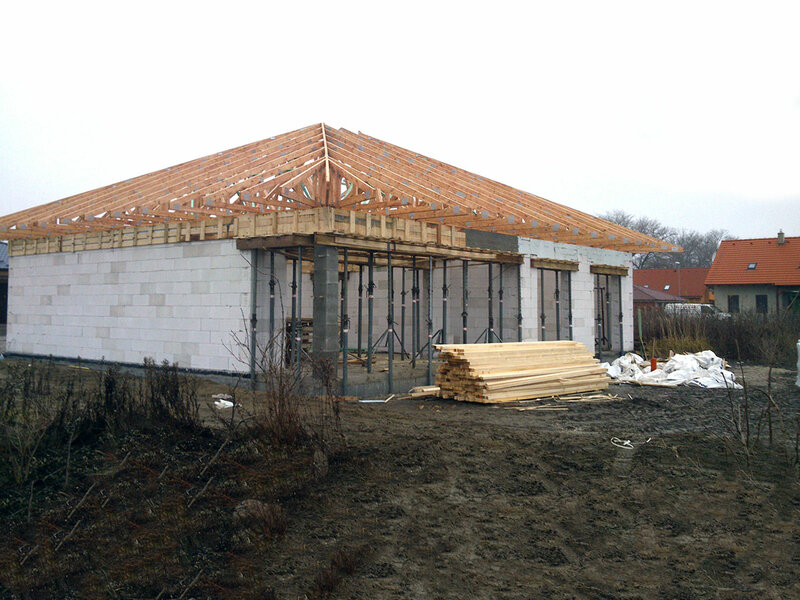 The truss is designed as a standard truss - such a roof will be usually assembled in one working day. 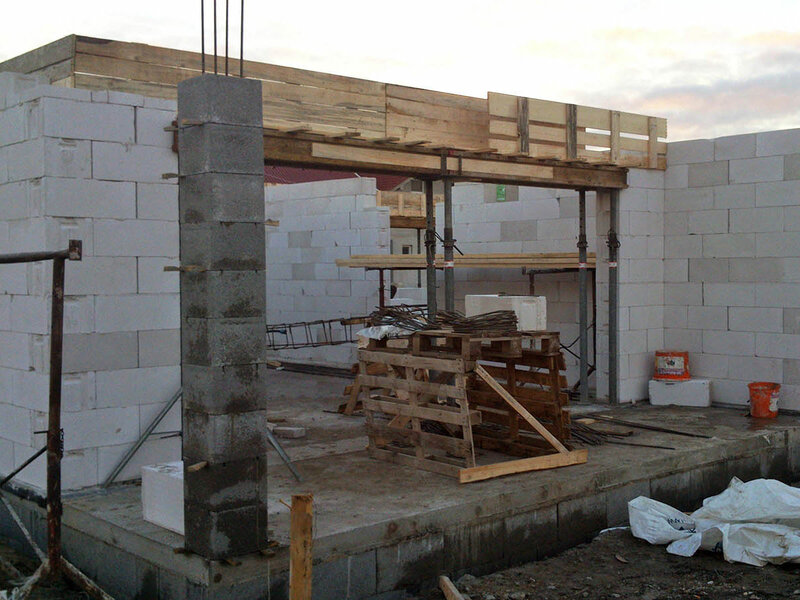 Interior ceiling is designed as drywall hung directly on the wooden trusses. 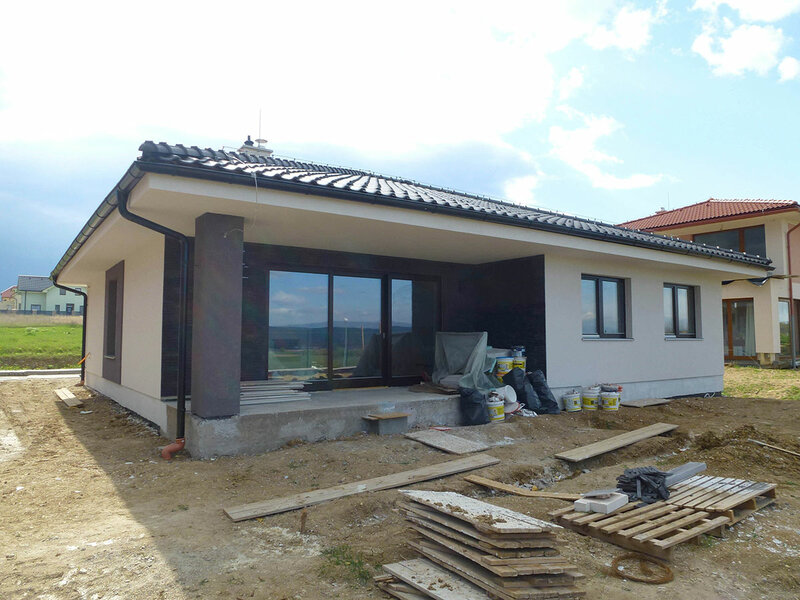 Windows are designed as standard plastic with triple glazing. 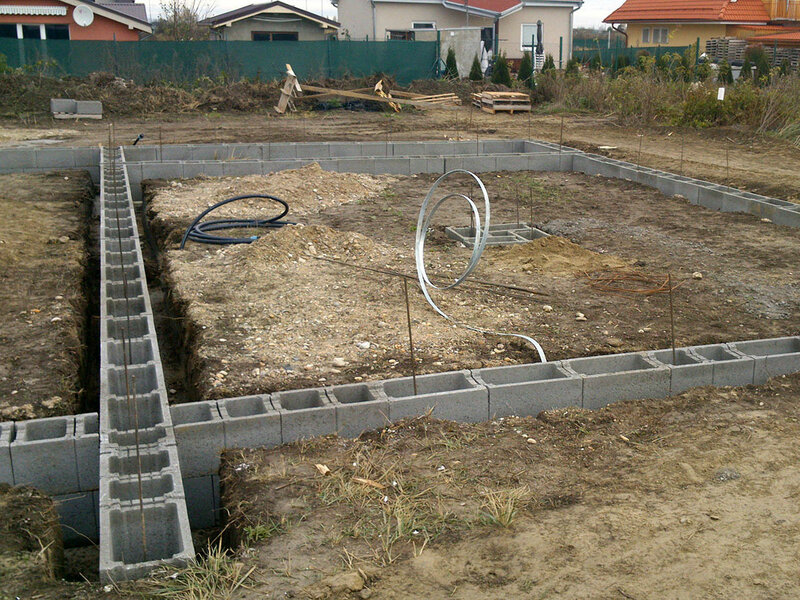 Heating is designed as a water floor heating connected to gas or electric boiler. 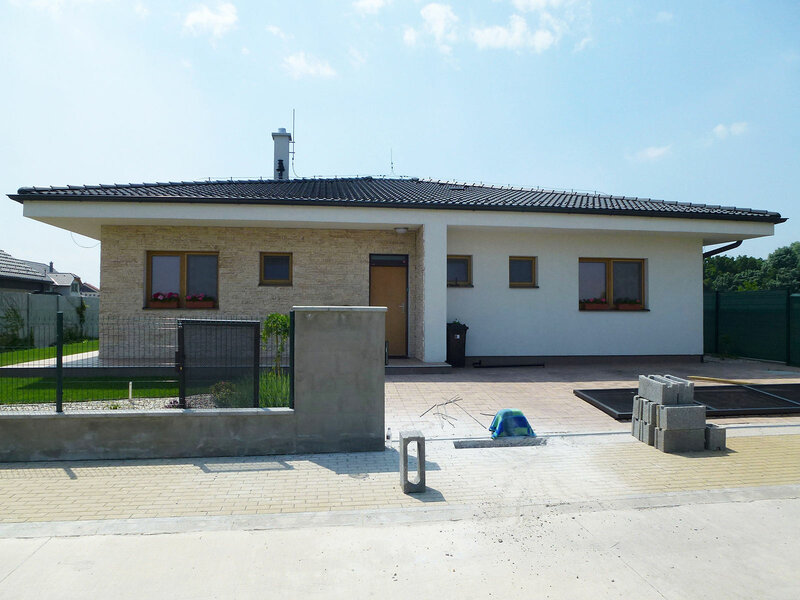 You can find more information about this house on our page Bungalow O120.